Taking advantage of the impoverished condition of many Muslims, as well as the 'takfiri ideology,' helps recruitment measures for extremist groups, allowing them to extend beyond their initial borders, says Middle East Expert Ali Rizk. In Africa, al-Qaeda-linked Al-Shabaab militants claimed to have killed dozens of African Union peacekeepers at their base in southwestern Somalia in a dawn raid Friday. 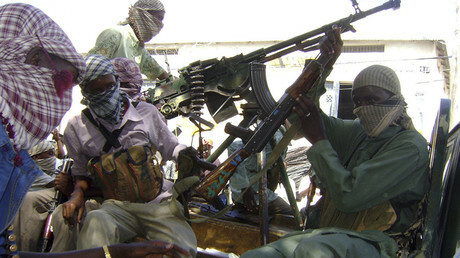 They rammed a suicide car bomb into the gates of the African Union base and then fought their way through. 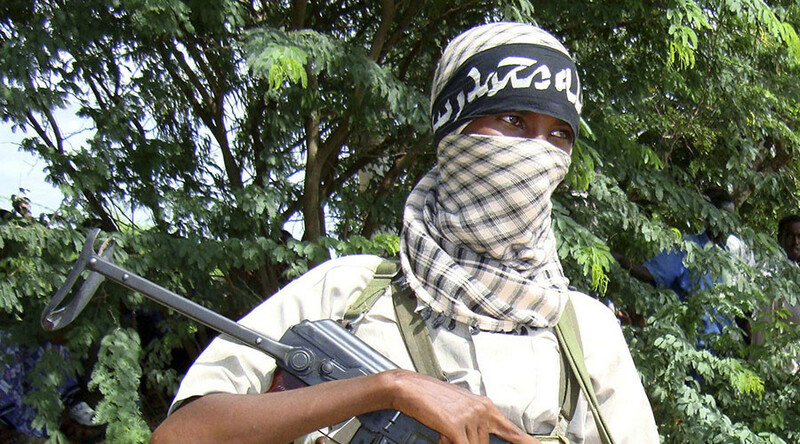 Al-Shabaab officially remains loyal to al-Qaeda, around 200 of its fighters pledged allegiance to Islamic State (IS, formerly ISIS/ISIL) in December, causing tensions within Al-Shabaab. RT: Is it common for Al-Shabaab to launch such large-scale attacks? Ali Rizk: What is interesting is that we had a week of very high level takfiri terrorist activity [A takfiri is a Sunni Muslim who accuses another Muslim of abandoning their religion]: A mall in Baghdad, an attack in Istanbul, yesterday’s attack in Jakarta in Indonesia. Today we have these attacks by Al-Shabaab in Somalia. Now, I think the main point to focus on is the fact that ISIS is expanding its geographical area of operations, as you notice. Now we have the African continent which was struck, and not the first time, by the way. But we do see a pattern of expanding beyond the traditional Iraqi-Syria-Lebanon arena going ahead striking Asia yesterday, striking Africa today. The widespread perception is that we are going to see more of these attacks be it by ISIS, or by those who are inspired by ISIS - like Al-Shabaab, like Boko Haram that recently launched the attack in Cameroon. So, the more ISIS loses territory and loses momentum in places like in Syria and Iraq losing land of the so-called caliphate, I think the more that happens, the more possibly we are going to see ISIS and its affiliates inspired by it to go ahead and launch all of these attacks throughout the world. Particularly, the more ISIS loses the land it holds in Syria and Iraq that means more people, more of its members will tend to flee Syria and Iraq and head back home as they learn their control further decreases. Going back home would hence raise the possibility of more of these attacks by the takfiri groups, adding to the fact that ISIS takes very good advantage of social media and we have had heard calls made by ISIS and its affiliates to seek revenge on those who are participating in this fight against terror. So, therefore I think that is a very important part of the explanation as to why this takfiri groups will go ahead and launch an attack on the African Union, this official body which would be accused of being involved in the all-out fight in general against takfiri terrorism and against groups like ISIS, Al-Qaeda, etc. RT: Are Al-Shabaab activities a major threat to regional security? AR: The problem which has arisen with ISIS is that ISIS facilitates the expansion of activity of Al-Shabaab. So, when you have ISIS rising, when you have the rise of takfiri ideology, when you have certain states in the Persian Gulf - like Saudi Arabia, who take advantage of poverty in certain countries - this will inspire more people to join Al-Shabaab or others. The use of takfiri ideology has very much facilitated the recruitment process, be it for ISIS or for Al-Shabaab. What that means is that ISIS and Al-Shabaab will have a growing presence which extends beyond the traditional borders, particularly, in places like Somalia. Poverty is a driving factor which pushes these people, these youths to join extremists groups to carry out suicide operations. So, I think within this perspective, if we continue to see this ignorance, turning a blind eye towards the real problem, which is the Wahhabist takfiri ideology and how that feeds on the expansion of takfiri groups. Until that happens, I don’t think we will be able to speak about containing any terrorist organization, be it ISIS or be it Al-Shabaab or be it Al-Nusra. I do think Al-Shabaab has increased its presence and scope and I would say the same thing about other groups, because militarily methods are not enough to defeat these groups.